PIC 4020 requires that you satisfy us of your identity to be granted a visa (where that visa includes PIC 4020 as part of the criteria). If we are not satisfied of your identity your visa may be refused. 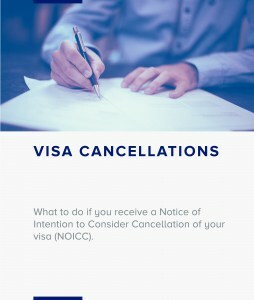 This requirement applies to visa applications lodged on or after 22 March 2014 and all visa applications made, but not finally determined before 22 March 2014. If your visa is refused under PIC 4020 because you did not satisfy us of your identity, you may not be granted a visa for a period of ten years (where that visa includes PIC 4020 as part of the criteria). There is no waiver available for the identity requirement or the ten year non-grant period. If your visa is refused because you did not satisfy us of your identity, anyone who has you listed as a member of their family unit will also be refused. These family members will also be prevented from being granted another visa (where that visa includes PIC 4020 as part of the criteria) for ten years. Visa applicants must not provide bogus documents or information that is false or misleading in a material particular with their visa application. previously provided a bogus document or information that is false or misleading in relation to a visa that you held in the 12 months before making your current application. If your visa application is refused because you or any of the members of your family unit provide bogus documents or information that is false or misleading in a material particular, you might be prevented from being granted a visa for three years. compelling or compassionate reasons affecting an Australian citizen, permanent resident or eligible New Zealand citizen. This also applies if you have been refused a visa for providing a bogus document or information that is false or misleading in the last three years and you apply for a new visa. If your visa is refused because you provided a bogus document or information that is false or misleading, anyone in your application who has you as a member of their family unit might also be refused. These family members might also be prevented from being granted another visa for three years. If you are unable to satisfy us of your identity, or your application includes a bogus document or false or misleading information, we will notify you and ask you to provide comments within a specified time period. 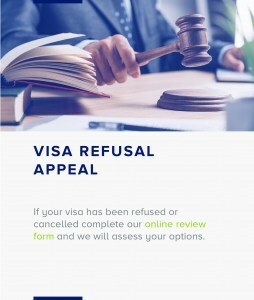 If your visa application is refused, you might have the right to have the decision reviewed by the Administrative Appeals Tribunal. We will advise you what review rights are available to you if your visa application is refused. if you are in Australia or outside Australia and hold another visa (besides a Bridging visa) you can make a new visa application.